Listening to Harper’s logic on the funding or proposed defunding of Canadian charities, red flags abound. Harper’s statement raises questions. Should the Canadian government decide which charities taxpayers can choose to support based on the charity’s political viewpoint? Is it right for the government to threaten charities with the loss of their tax status just because they don’t want charities campaigning for policy changes? In fact, changing government policy is one of the most effective ways to make social change happen. 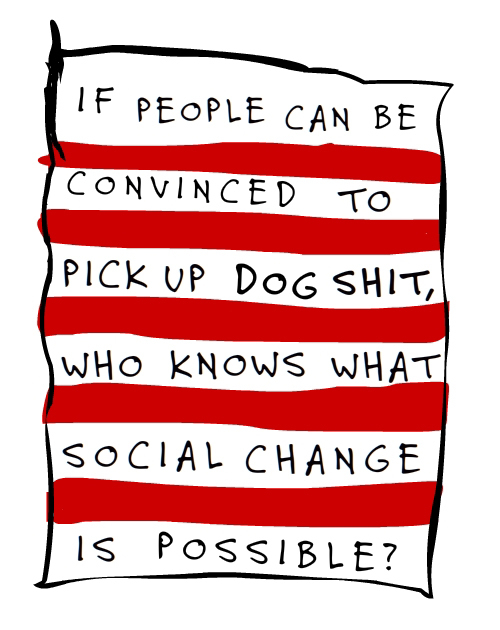 It makes sense that charities want to harness that power. As a group, charities are very skilled at mobilizing social campaigns to pressure the government for change. For example, Environmental Defence is lobbying the government to change its policy on the use of Bisphenol A (BPA). They succeeded in getting the government to ban the use of BPA in baby bottles, but the battle continues. Charities are working for the common good of Canadians. They have been very effective at getting people to think about alternative solutions to social problems. Perhaps that’s why the Harper government is attacking the charities funding now. The government has been very effective in silencing government scientists – but these Canadian voices bubbling up from the grassroots across the country are getting noisy. It’s hard to silence millions of people. 4,200 people have signed up to speak out on the Northern Gateway pipeline. We don’t know what they’re going to say yet because they haven’t spoken – but it’s got the government nervous. Nervous enough that they’ve slurred all charities as a group and raised the bogeymen that charities are misusing their money – allegations which they have not provided any evidence for. In the fight over social policies, most charities are in the corner of the defenseless, impoverished and vulnerable. Thinking specifically of the environment – how much more defenseless can you get than air, water and wilderness? Who is going to stand up to protect Canada’s natural resources from destructive exploitation if environmental charities cannot? We need more Canadians to step forward. There is ample evidence of the benefits to society from increased participation by Canadian charities. So, why is there a 10% limit on advocacy for charities? It is an arbitrary rule. And worse, the Harper government is using it as a weapon to silence dissenting voices. They gave $8 million dollars in an “austerity” budget to audit charities. It’s put a chill on their willingness to speak out. The Harper Government’s intimidation tactics are an assault on free speech. No matter what their political viewpoint, charities need to be able to speak up. Free speech for charities is a very appropriate use of taxpayers’ money. Let’s lobby the government! Franke James is an activist, artist and author.